As usual it was the evening time and I was peeking through my balcony towards sky and watching if any bird or any artistic cloud formation is taking place in the sky. Suddenly I found that too many birds are flying up together into the sky and they were going to travel right through the top of my apartment. At this time I was not having the camera with me and I ran towards it which was residing on my computer table. 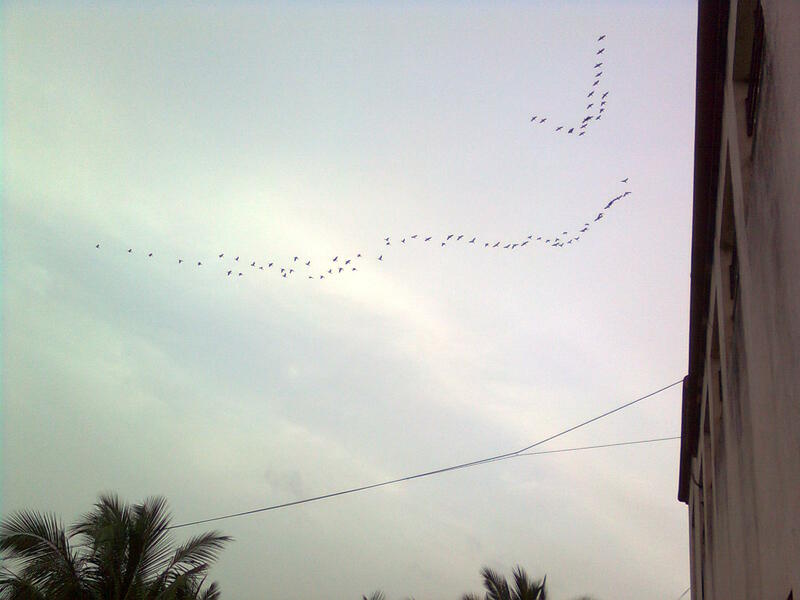 Till this time all the birds were up close above my balcony and I snapped this beautiful photograph.